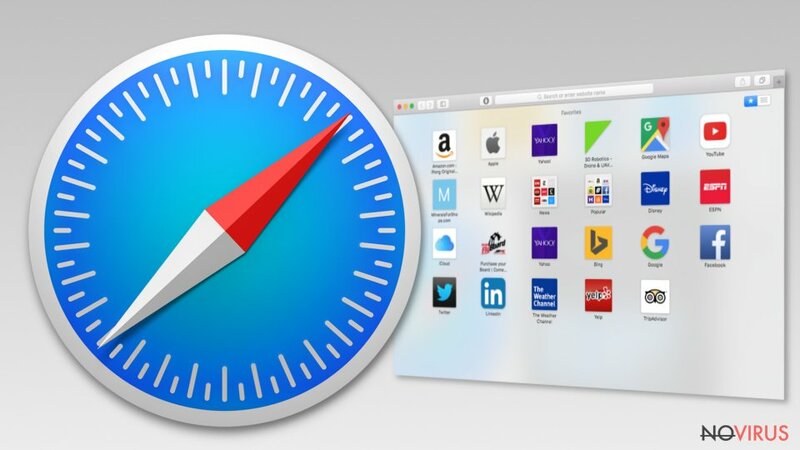 It can be hard to define the best web browser because everyone is looking for totally different features. While one part of netizens is obsessed with privacy, other users can only think about their browser's speed or the quality of their search results. However, no matter if you are the fan of speedy searches or have stuck on reading how much information is collected by each of web browsers, we believe that, in 2019, you should make the safest web browser your priority. The main reason why the safest web browser is a must these days is that scammers have never been as active as they are now. Beware that there is a wide list of browsers that have already been added to “browser hijacker” category. Having in mind that the program is used to type in and share certain personal information, you can run into serious consequences. The good news is that, during the last couple of years, the number of legitimate web browsers has also increased. Besides, the most known browsers have stepped up and presented impressive improvements, such as better browsing experience, improved privacy or even personalized results returned to every user. No matter how well each of these features looks, make sure that your browser is taking care of your safety as well. 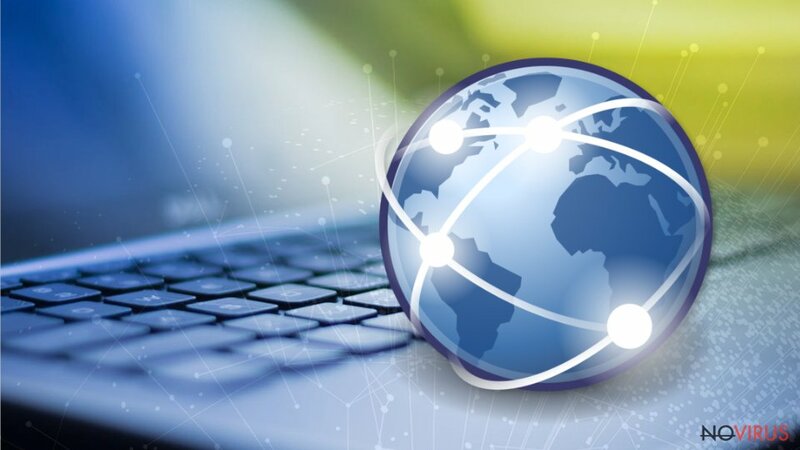 Below you will find 9 the most secure web browsers that are worth your attention in 2019. Google Chrome is the most popular web browser which has been used daily by millions of users. To be precise, this browser takes more than 60% of the browser market share what is an impressive number. 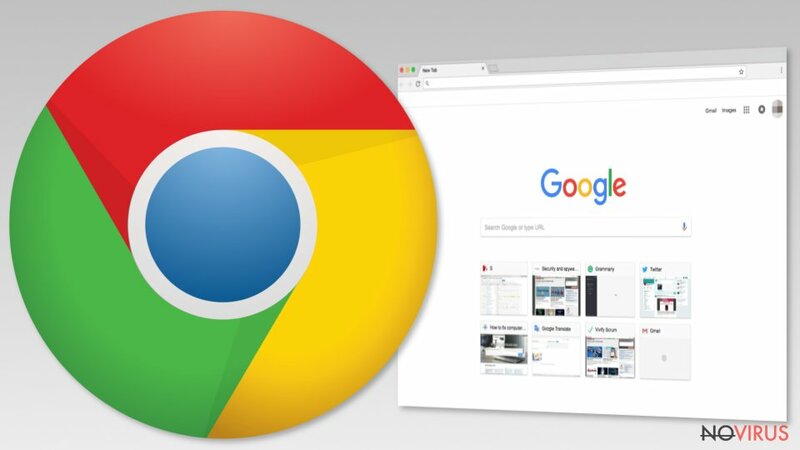 Of course, there is no surprise why people love the Chrome browser – it is convenient, quick and quite secure. However, no one is perfect – according to the latest news, Chrome had the biggest number of vulnerabilities (172). Besides, its data tracking is considered to be another disadvantage of using this browser because this process is continued even if you opt for Private browsing. Now you can customize numerous settings to make Firefox the most secure browser. You can also expect to be offered frequent security updates and fixes – typically, major updates come up every 28 days and minor ones can be offered almost every day. The main problem here is that these updates are not installed automatically, so there is a great risk that some part of users hasn't even tried Sandboxing and other features to improve their security. During the last couple of years, the amount of Microsoft Edge users has visibly increased. It seems that the main reason causing that was that this browser was spread pre-installed on Windows 10. As a result, it managed to take over 5.15% of the market share and became one of the safest web browsers of 2019. The first reason to consider Edge as the safest browsing tool is its Windows Defender SmartScreen technology (also known as Phishing Filter). With its help, you can spot phishing and malicious websites that have the greatest potential to infect you with malware. Besides, you can make your own list of trusted and restricted websites and add another layer of protection. If you are interested in protecting your privacy, you should also like its in-private mode that does not track passwords, browsing history and other data that you enter. Besides, Edge uses sandboxing technique which is considered to be a must nowadays. 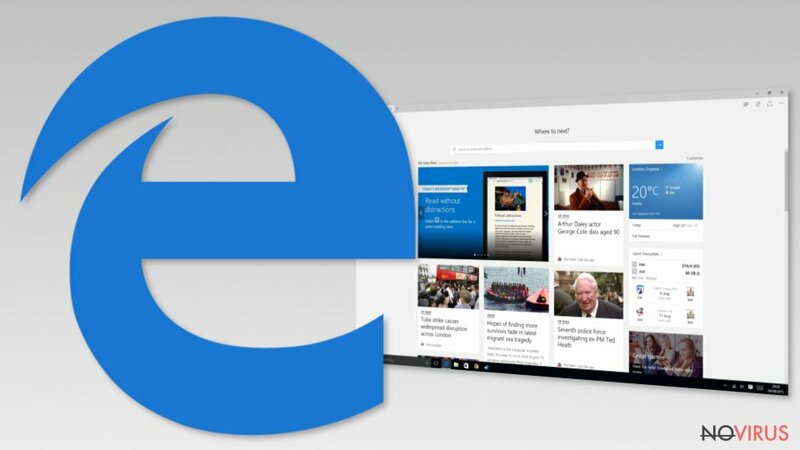 Microsoft Edge receives a lot of attention from its developers – it gets automatic updates every two or three times a month. Thanks to such intense improvement, the number of its vulnerabilities from 270 to 135. However, 5 of these vulnerabilities have been exposed to initiate an attack. No matter how multi-layer its protection seems, Safari still tracks its users to post personalized ads. Besides, its developers are not too quick to fix vulnerabilities on this browser – major updates take 54 days to be issued. Last year, experts found 56 vulnerabilities. However, when comparing to 172 vulnerabilities found in Chrome, it doesn't seem very shocking. Opera is one of the oldest browsers that came out together with Internet Explorer. In 2015, it was bought by an online privacy company called SurfEasy which started rebuilding this browser. 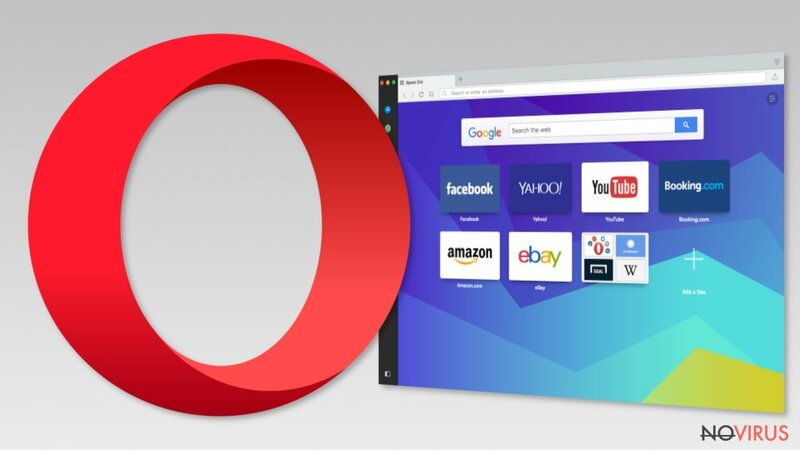 The most surprising feature of the Opera web browser is a built-in VPN service. You can choose from five locations: the United States, Canada, the Netherlands, Germany, and Singapore. 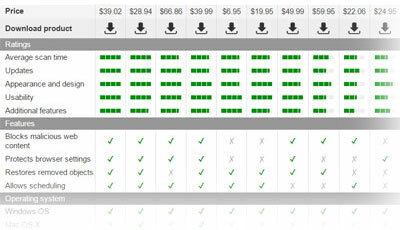 While 5 locations may seem like a very weak choice, take into account that the service is free. 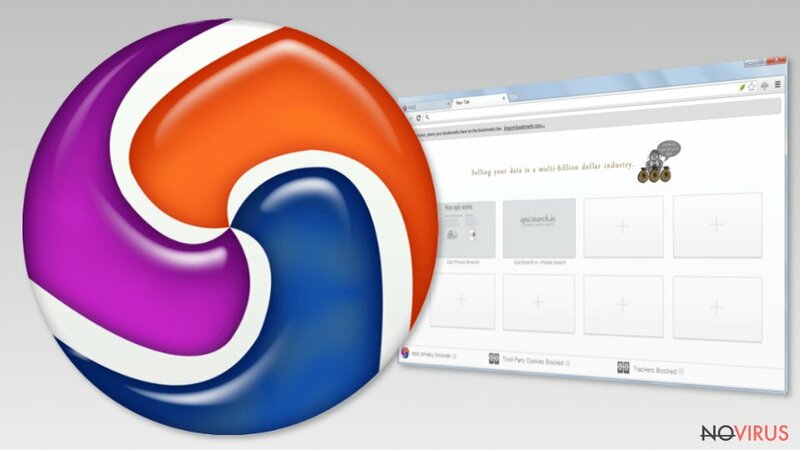 Besides, to become the safest web browser, Opera's developers decided to add a built-in ad blocker. However, take into account that this feature must be enabled manually to function as it should. Of course, you can whitelist needed websites and start seeing their ads. Regarding the collection of private information, we should warn you that Opera is not different from other browsers. Typically, it is interested in users' email address, IP address, a device maker, and even screen resolution. 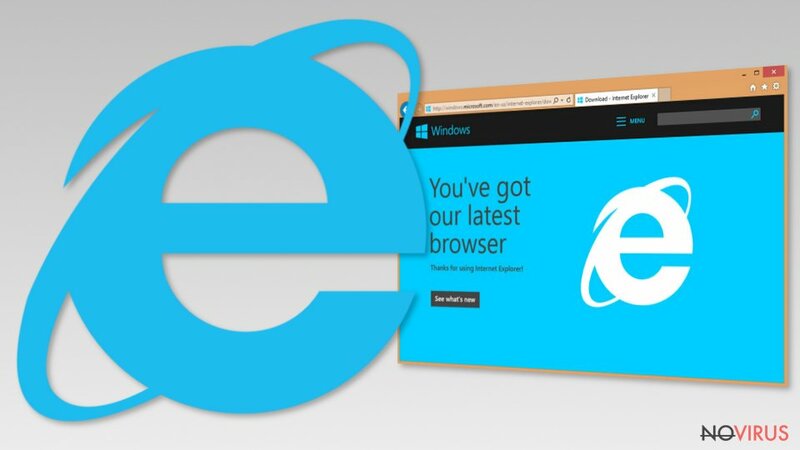 While there are numerous reports about high malware detection rates, it is clear that Internet Explorer cannot be put in the top of the most secure browsers' list. However, despite the security-related issues in the old versions of IE, it is now trying to fix these problems. Unfortunately, there are many other conventional browsers which are far more reliable. In spite of that, Microsoft has changed their tactics and reduced the number of updates offered since 2016. Yet, Internet Explorer version 11 is still being continuously patched. However, you should not rely on this browser if you aim to protect your system. 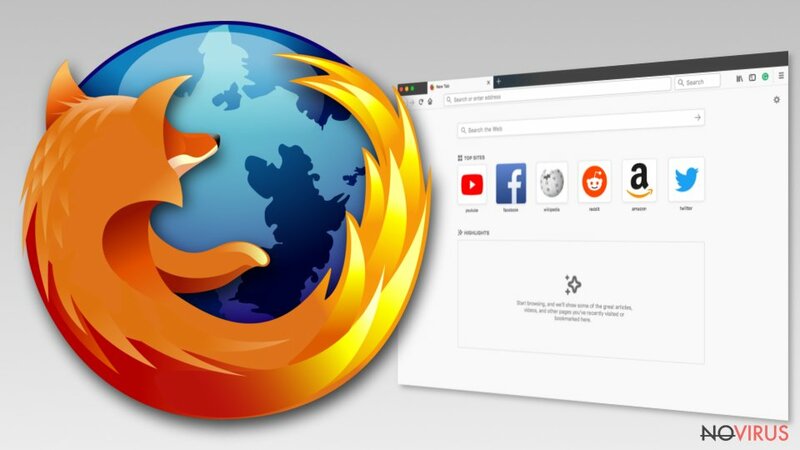 The most controversial thing is that Internet Explorer has received many complaints about tracking its users just like Google Chrome, but it offers a function to ask the websites not to track you and even create a blacklist for the suspicious browser extensions. Note that, you can still receive an update from Microsoft at least monthly. Comodo is a well known company which has been working on security software. However, recently it has started developing Internet browsers. The main reason why did they start this is improving users' security online. Comodo built their web browsers on the famous Chromium technology – 'an open-source browser project that aims to build a safer, faster, and more stable way for all users to experience the web.' According to the company, their browsers should be used for safeness, speed, and privacy. So, the main browser's features are similar to Chrome’s. However, the main difference of Comodo Dragon is security and privacy provided to its users. We should mention that there are two different versions of Comodo Internet browsers: Comodo Dragon and Comodo Ice Dragon. The first one is offered to Chrome's fans seeking to improve their privacy. 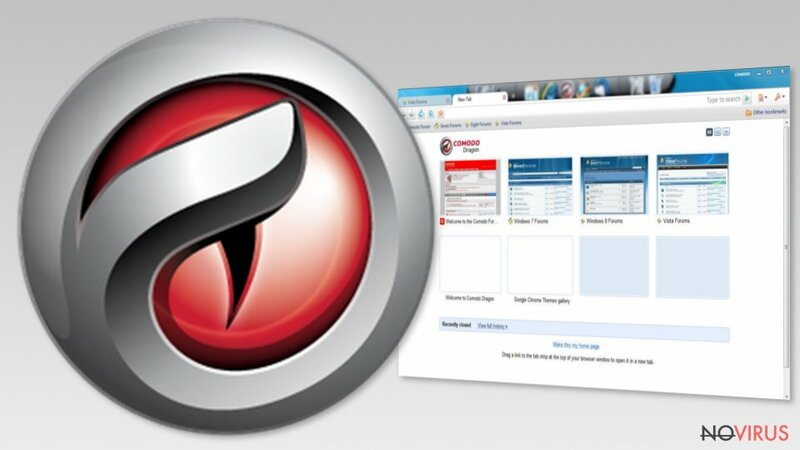 However, if you have always been dedicated to Firefox, you should opt for Comodo Dragon version. Applying domain validation technology to identify secure SSL certificates. Even though Epic Privacy Browser is based on the open-source code of the Chromium project, it has the main difference when compared to Google. As it is declared by its developers, the browser disables Google services from tracking their users and gathering their information. This browser is developed by Hidden Reflex that seems to be extremely interested in protecting users' privacy. However, if you continue using Gmail or browsing on Chrome, you won't prevent tracking. Relying on SSL connections and built-in ad-blocker. However, the Epic browser collects information about users' IP address. According to its developer, it does that 'to get search results that are geographically relevant.' Besides, if you like adding add-ons to your browser, you should note that Epic won't let you do that. Having in mind that hundreds of add-ons have been misused by unreliable developers, the company is definitely trying to become the safest web browser of 2019. 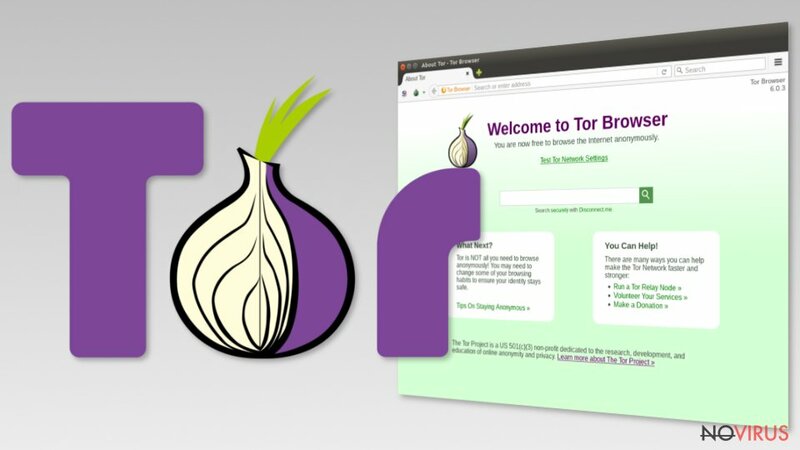 Tor web browser was introduced by a group of volunteers seeking to avoid users' tracking on the Internet. It works by making indirect connections over public networks and mostly using a series of virtual tunnels for that. That's how it claims to protect users' data. Besides, it can be used to reach web domains blocked by your local Internet provider. That's why it has become famous among hackers and other cybercriminals. However, it should not be mixed with a VPN service. The main disadvantage of this web browser is that is is not as fast as other browsers. Next to its sluggish performance, we should also mention old school design and inconvenient usability. We hope that we have already convinced you that the program used for browsing the Internet is as important as your antivirus software. While you can clearly see that some browsers are safer than others, you should also don't forget that none is perfect. 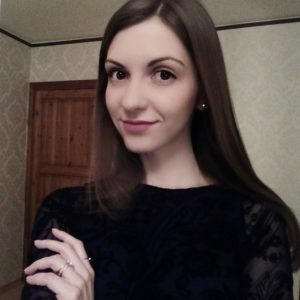 This post was published on 2019-01-16 at 12:34. Category: News, Web browsers and vulnerabilities.